When I launched Time Effective Cycling Training after four years of blogging, I was curious to see how people would respond to it. I know that an e-book is different from a physical book, yet it offers some advantages that you don’t get from physical books (e.g. instant delivery and no shipping costs). Also people have the chance to get free e-mail support to maximize their performance with the training programs included. That’s a great service and a perfect option for me to develop my skills as a cycling coach. Since this was my very first product, I wanted people to be happy. So, I decided to offer a 100% money back guarantee within the first 30 days after purchase. Many of my friends and family members warned me about offering that guarantee, because there was a potential risk that someone would just ‘steal’ my e-book. They were wrong. So far, less than 1% had asked for a refund. That is an extremely low return percentage on a digital product and that indicates to me that people are quite satisfied. It’s more than likely that there is a cheater among the refunds, but I don’t care. A low refund percentage is great, but what is much more interesting to me is how well the training programs work. I have had a good feeling from several e-mails during the past months. Still, I wanted to hear more stories, because that is an important part of my learning process. 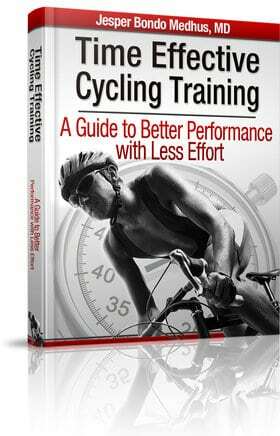 So I decided to simply ask my customers what results they have achieved with Time Effective Cycling Training. Most people have implemented several of my training techniques. They have used the very popular and extremely effective VO2 Max Booster Program and/or started on the 16 week training program. Overall, I conclude that my first e-book has been a huge success and I’m very motivated now. I look forward to develop future products or services for you. 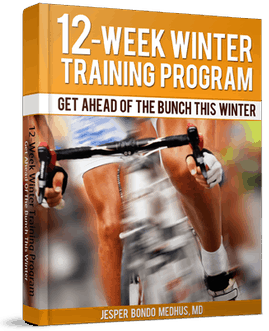 Also I look forward to hearing from the readers when they have finished the entire 16week training plan, because that training program uses the best principles about cycling training I have learned the past 10 years. 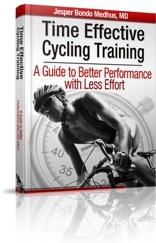 If you want to achieve better results with less training, click here to read more about Time Effective Cycling Training. I read the book and it is amazing. In general it is very well organized per topics, the vo2 max booster is interesting and important skill( I done), the strength program is absolutely correct for cyclists(I done) and the 16 weeks I really want to do in this year or next. The main point that I learned is how to put consistently intensity intervals in my routine workouts twice a week. First I would like to say that your e-book is super good and very usefull, but I have just one question. Why do you not recommend the 5min./100% as a VO2-max workout. You suggest, for example, most of the following training examples such as 10x (30 +30) s, 5x (40 +20) s, 3x (3 +3) m, etc. Is it because of the success rate? I understand that your success rate is higher with the type of workout that you recommend. But after all, training 1×5 min./100% is really good. If we disregard the success rate, which type of workout is best, 10x (30 +30) s, or 1x (5 min.100%), and why? @Michael – The primary argument for 30/30s intervals, is the success ratio of the intervals you perform (as discussed in the e-book). It’s a lot more motivating and easier to keep up the intensity during short intervals. It’s always difficult to compare different types of intervals. If we assume that both interval sets are ‘all-out’ the 30/30sec intervals might result in more total time at VO2 max. Though, it is more than likely that you will need at least a couple more intervals before you reach failure. So, it is unfair to make a direct comparison. Dr. Medhus, I used your method for three months this year on my Kinetic trainer with power meter beginning January 1 in preparation for the Calif. Senior Championships in the 5k and 10k TTs. I won a silver medal in the 65-69 age group for the 5k TT. This is better than I expected because I am just getting back into cycling after rehab from a cycling accident 2 years ago where I broke 5 ribs in my back with L5/S1 damage too. Your free internet info was most helpful and I just ordered your book. I notice your post on age is no barrier to training and I agree but to make the point, age 70+ cyclists are doing TTs at better than 25 mph avg. speeds. While trying to be true to your concepts I have noticed that I need more time for warmups (about 50 min) before doing intense intervals and I need longer rest intervals and more easy days for recovery. I’m wondering if your book addresses the needs of older-aged athletes. I also used protein supplements for pre and post workouts, which seemed to be beneficial. If age appropriate, I will try to follow your book instructions for the rest of the year in preparation for next year’s state TT championships in the 70+ age group. Due to the brevity of the last training period, I targeted the 5k TT for an under 7:30 min. time. Didn’t make the time due to terrible weather on race day but I did improve 25 watts over pre-training. I’d like to continue improving with a goal of 290 watts (that’s a 25 improvement) for 7 min. Hope your plans help. Jesper, downloaded your book recently. Good stuff. Question: how do your incorporate the 14 day VO2 max booster program with regular training? Do you do the 14 days then regular training for another 10 weeks, then repeat the entire process (as an example)? @Terry – Thanks for commenting. My e-book does not target a specific age group. It’s presenting a new way to organize your training and helps you to get the most value out of the time you spend training. @Gary – There are several ways to incorporate the VO2 Max Booster Program. When I made this training program, it was only designed to inspiration to help athletes think ‘out of the box’ when they design training programs. As a bonus, this training program has been very, very successful as a separate training program and several riders have used it more than one time AND continued to improve their performance. Though, I recommend to use the best principles from the VO2 Max Booster Program and use them in your own, personal training program. that means I might be able to participate in real races in the Danish category D in the end of august. And I think it’s quite easy to maintain the motivation since the program due to all the different excercises, doesn’t get monoton. Would you accept pay pal transaction for the e-book? Yes, you can also pay via Paypal. Yes, you can use it without a power meter. Actually, that is what the majority of what my readers do.